VITEEE 2015 Forms Now Available - Hurry Apply Soon! 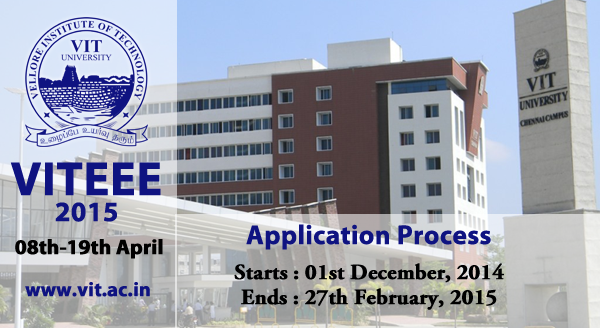 Application process for VITEEE 2015 has now started. Students seeking admission in VIT Engineering College should fill-up this form. NOTE: The number of examination days will be estimated based on the total number of applications received for the particular group of courses and the test centre choices given by the candidates in the application form. Join more than 45,000 students preparing for Engineering 2015 on simplylearnt.com.